I have been meaning to do this review for such a long time but kept forgetting! Things are going to get tricky in terms of blogging as I am returning back to work, my maternity is coming to an end. Time really has flown, I remember my baby being born and thinking the return to work was ages away, but here it is! So back to my review. 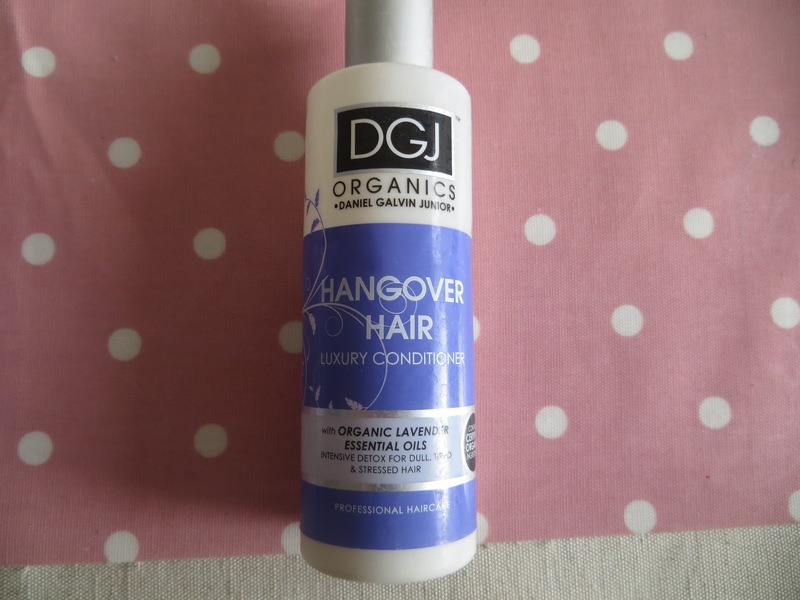 *DGJ Organics Hangover Hair is a shampoo and conditioner by Daniel Galvin Junior, with organic lavender essential oils, an "intensive detox for dull, tired and stressed hair" certainly describes my hair so was excited to see the results. The great thing about DGJ is that they use essential oils/extracts and don't use harsh chemicals or contain parabens which can be harmful to our hair. The shampoo and conditioner definately smell of lavender oils, you can tell the difference between the real deal and fake scents! I am not a fan of lavender but this isnt too overpowering so didnt put me off. The products have clear directions and a promise stating what they are about. An easy lid makes the product easy to use with eye catching packaging. 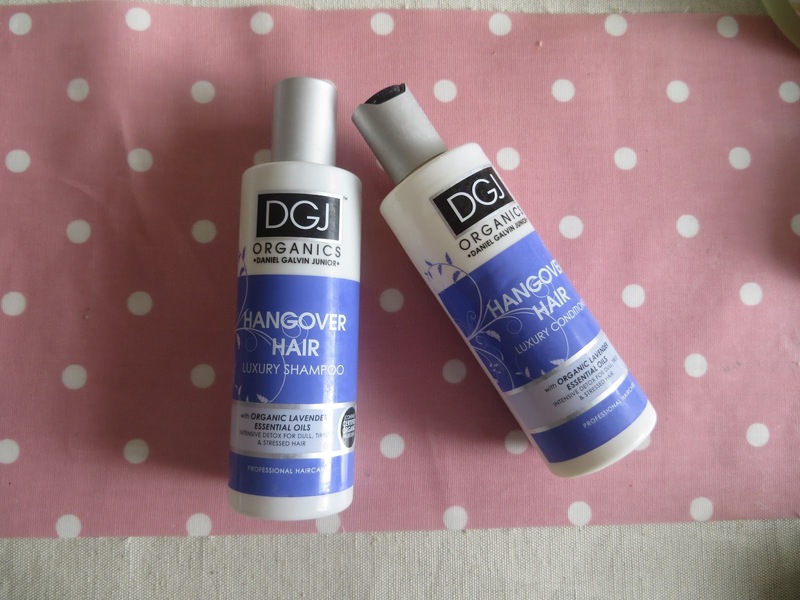 I enjoyed using these and felt my hair was lighter and not bogged down with product. I found I had to use a lot of the shampoo product to feel it washed my hair, but the conditioner didnt need as much. The products left my hair feeling clean and soft, though I wouldnt say I noticed a great difference from other products I have used. The conditioner did feel silky on application but I did not notice any great improvement from it for the ends of my hair. 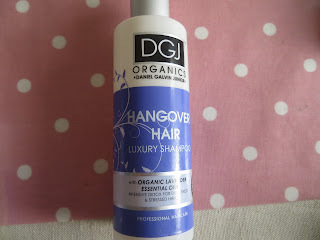 The hair loss I had been experiencing from the after math of pregnancy had reduced when using this product which was great, so the de-stressing theory is true. I wouldnt rush to repurchase this specific type of shampoo and conditioner but would love to try more from the range. Have you tried this or any other product from the range? I haven't tried any but I might give this a go. My hair is dull & limp and I've yet to find something that actually works!